I tried these products by swapping them with items currently in my daily routine (described at the bottom of this post) to see just how they fit in. And after two weeks I’ve got no immediate plans to swap these products back – I’m actually really impressed! 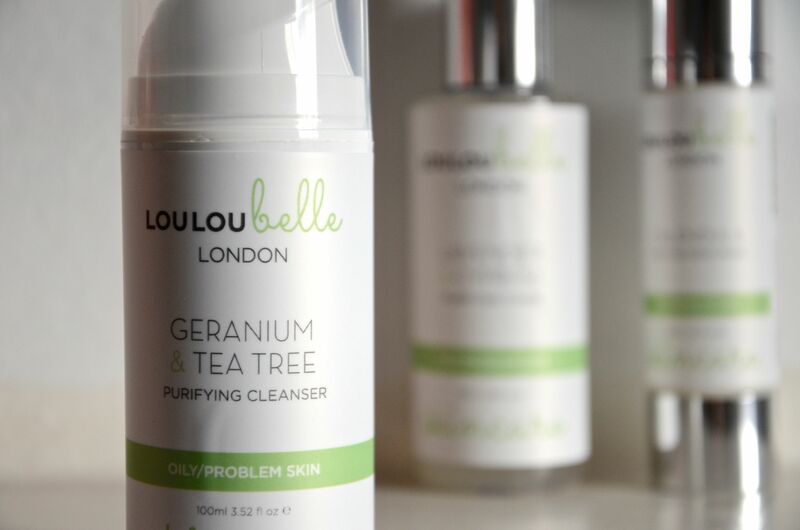 According to the LouLouBelle Skincare website, “[They] avoid complex formulas that include unnecessary additives.” And this is something that I picked up on when I was using the products. They felt so – and I really don’t want to use this word because of its negative connotations, but I will because its definition suits perfectly – basic in absolutely the most positive way. I found the Geranium & Tea Tree Purifying Cleanser* left my skin feeling clean, fresh, hydrated and not-at-all tight. (Many products leave my skin feeling tight after cleansing, which is never a good thing, so I don’t blog about those products because I don’t like them!) I also noticed a decrease in redness around my acne papules, and my acne pustules are finally starting to go away. (Gross / TMI alert: if my pustules drain during cleansing with warm water and a flannel, they often come right back. Over the past two weeks I’ve watched these pustules drain in the normal way and then start to heal up. They aren’t totally gone, but I suspect they will be in another few weeks at this rate – fingers crossed!) Ingredients include grapeseed and hazelnut oils; lavender floral water; eucalyptus, rosemary, lavender, geranium and tea tree essential oils; and aloe vera. 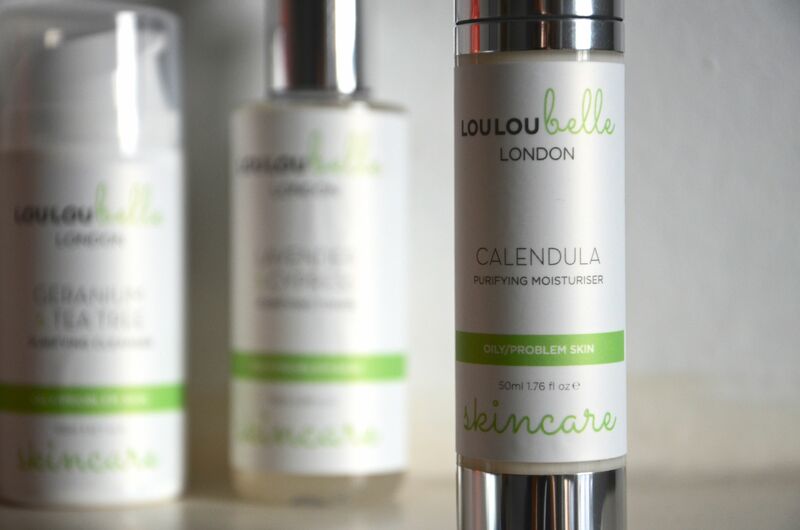 The LouLouBelle Calendula Purifying Moisturiser* was also a delight. I’ve got a keen eye for moisturisers at the moment now that winter is coming, and this one is a delight. Lightweight and smelling divine, it soaked right into my skin without feeling heavy or thick. (I may have oily skin, but I also struggle with skin dehydration, which basically makes central heating my worst nightmare!) It also works well under my primer and foundation, which means I’m keeping this one in the cupboard above the bathroom sink. Ingredients include calendula; kiwi and grapeseed oils; and essential oils of myrtle, patchouli, cedarwood, sandalwood and grapefruit. But the real highlight for me was the toner. Oh, the toner! 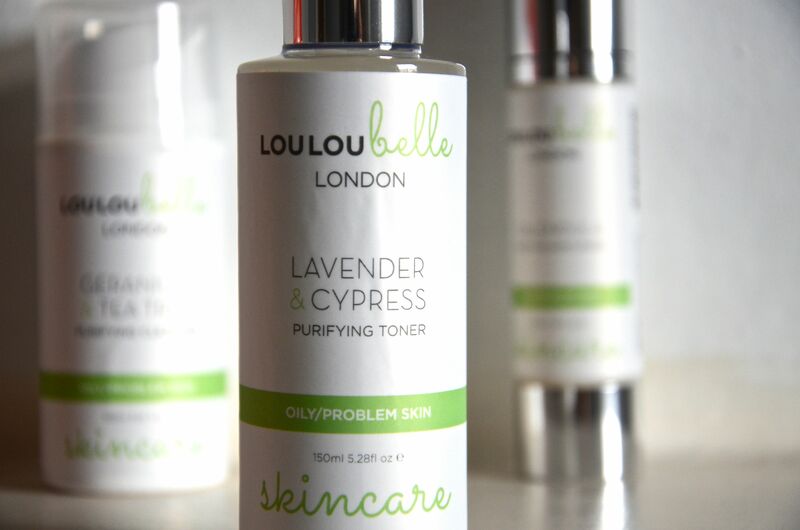 ‘Soothing’ is the first word that comes to mind when I think about LouLouBelle’s Lavender & Cypress Purifying Toner*. I absolutely adore it. The only niggle I have with it is the packaging: I don’t love the pump. I found it frustrating to pump the product onto cotton balls because it tended to run off the sides and into the sink (Noooooo…! ), but other than that? Total love. And cotton pads (not balls!) are now on my shopping list. Ingredients include lavender floral water; aloe vera; and essential oils of cypress, geranium and chamomile. Please note: while the products marked with a star (*) in this blog post were gifts, the views expressed are my own. Products marked with two asterisks (**) are products that I was introduced to as gifts and loved so much that when I finished them up I purchased replacements! 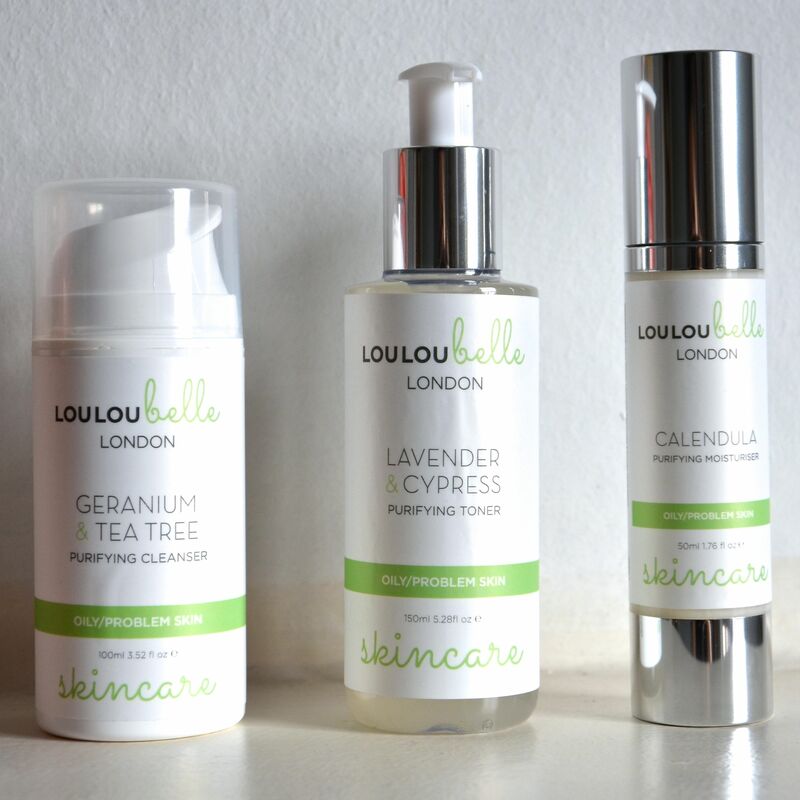 Tags: LouLouBelle, LouLouBelle Calendula Purifying Moisturiser, LouLouBelle Geranium & Tea Tree Purifying Cleanser, LouLouBelle Lavender & Cypress Purifying Toner, Skin Care. Bookmark the permalink.